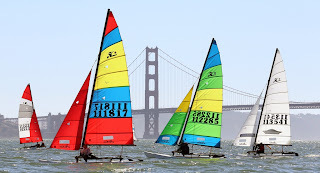 Images US Sailing. Main image John Williams and a close encounter of the third kind.. at SF Bay. 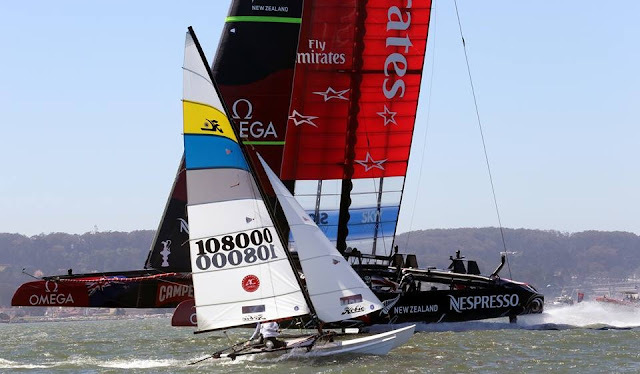 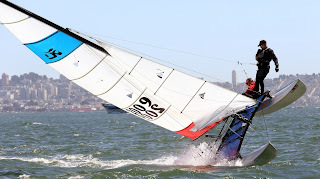 What we have today in Multis it all started in a way with Hobie Alter, lots of previous pioneers but Hobie put the salt plus the right additional ingredients to make Catamaran Racing what it is today. 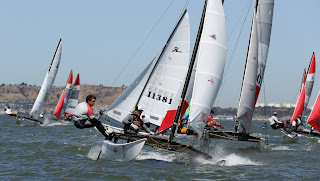 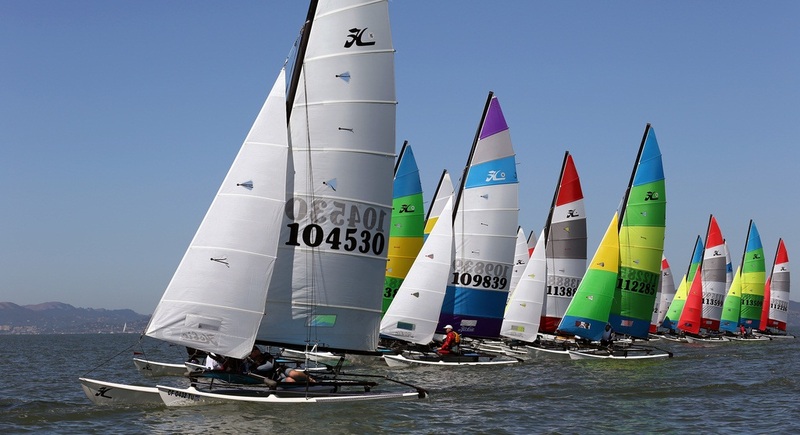 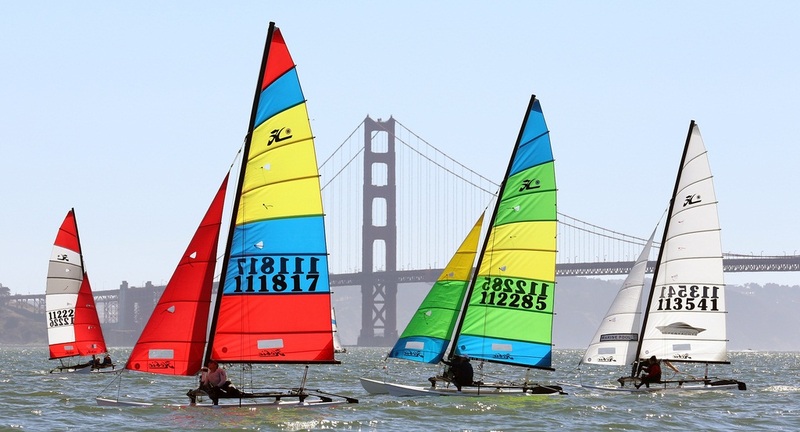 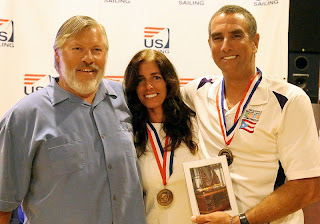 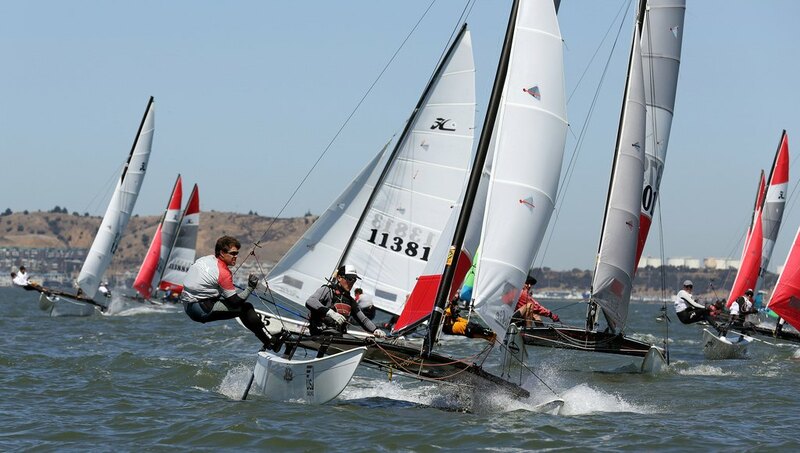 US Sailing Annual Hobie Alter Cup, this time sailed in H16s. 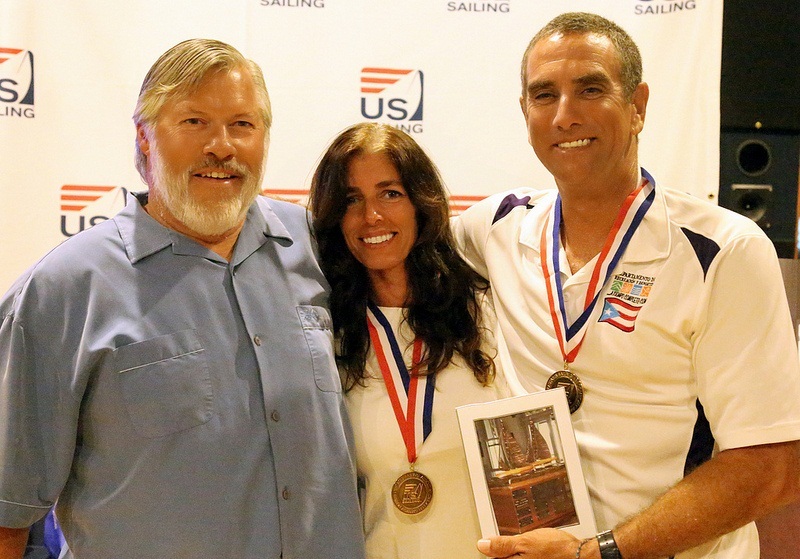 First place for Enrique Figueroa & Carla Maltrasi.